Bhagwan Swaminarayan has been hailed by contemporary civic leaders and modern historians as a great social reformer and inspirational leader. Nineteenth-century figures – Indian and British; Hindu, Muslim and Christian – praised his contributions to the abolition of vice and superstition. Among other reforms, he preached the equality of all as atma, the soul; he empowered women with education; he stopped the evil practices of female infanticide and sati; he forbade violent sacrifices; and he promoted a life free of addictions. But Bhagwan Swaminarayan did not simply reform society; he spiritually transformed it with faith, devotion, service and integrity. He re-established ‘ekantik dharma’ – faith founded on the pillars of bhakti, dharma, spiritual knowledge and detachment from worldly ignorance. From his own lifetime until today, millions have recognized him as the manifest form of Parabrahman Paramatma – supreme God. Born: 3 April 1781 (Chaitra sud 9, Samvat 1837), Chhapaiya, near Ayodhya, Uttar Pradesh. Passed Away: 1 June 1830 (Jeth sud 10, Samvat 1886), Gadhada, District: Bhavnagar, Gujarat. Age 7: Studies Vedas and other shastras. Age 10: Won scriptural debate in Kashi. Age 11: Renounced home and began pilgrimage throughout India. Age 14: Mastered ashtang yoga while in the jungles of Nepal. Age 18: Concluded all-India pilgrimage in Gujarat. 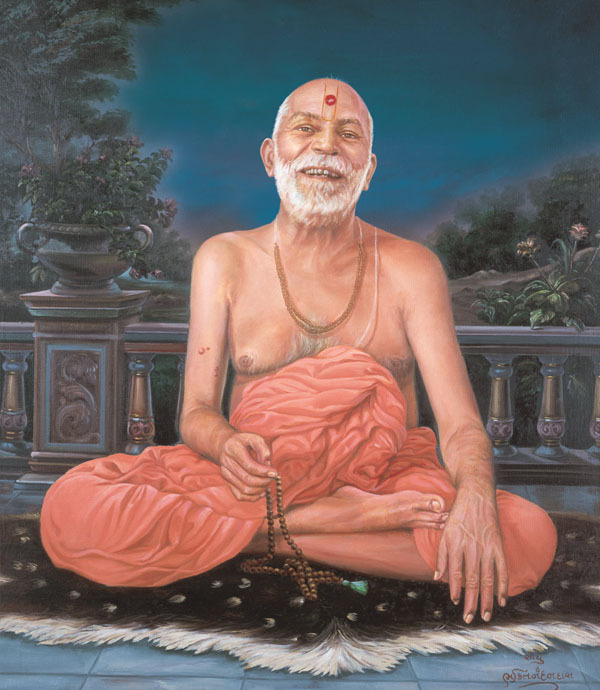 Age 21: Appointed by guru Ramanand Swami as head of the Sampradaya. Age 25: Initiated 500 disciples into the paramhansa order. Age 29: Acknowledged for his widespread uplift of society. Age 41: Built and consecrated the first of six grand shikharbaddha mandirs. Age 45: Wrote the Shikshapatri. Age 49: Promised to remained manifest on earth through the lineage of the Gunatit Sadhu and passed away to Akshardham, his divine abode. 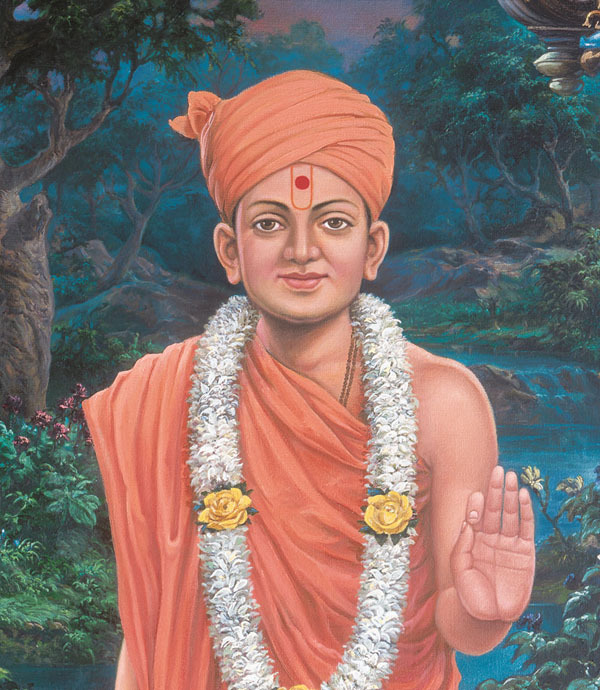 Gunatitanand Swami was the first spiritual successor of Bhagwan Swaminarayan. Like all the gurus who have followed him, he was the incarnation of Aksharbrahman, the eternal servant and foremost devotee of Parabrahman. He was the ideal of saintly virtues and the greatest exponent of Bhagwan Swaminarayan’s true identity and philosophy. 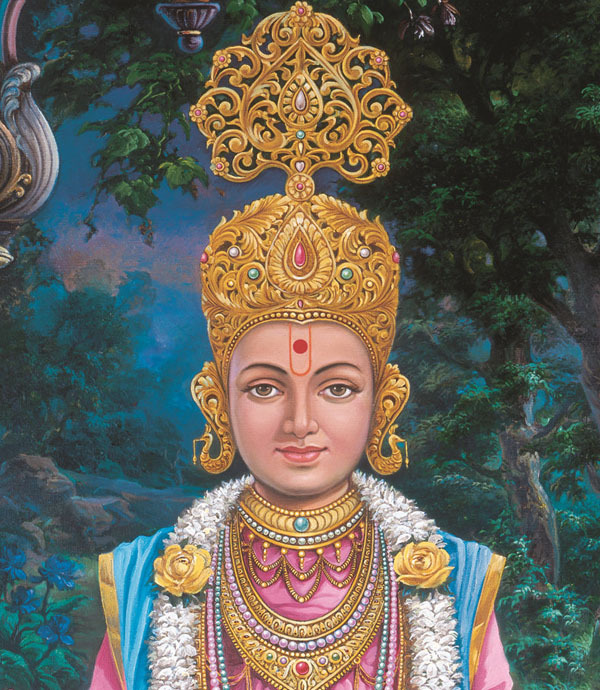 After Bhagwan Swaminarayan’s return to his divine abode, Gunatitanand Swami continued his work of liberating individuals from spiritual ignorance and granting them eternal bliss. 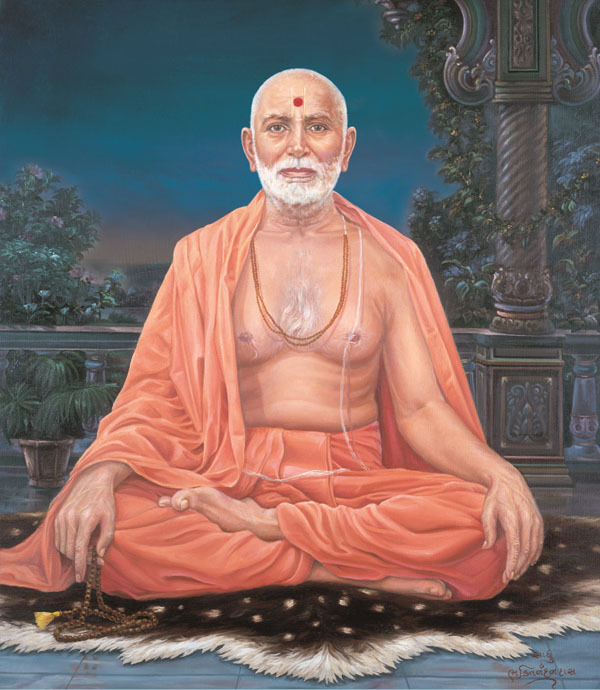 Bhagatji Maharaj was the second spiritual successor of Bhagwan Swaminarayan. His life of ultimate devotion and unconditional surrender was a shining inspiration to all seekers of truth and liberation. Born into a humble tailor family, Bhagatji Maharaj lived as a householder, but he followed the dharma of a celibate and was highly revered and respected by lay devotees and renunciants. 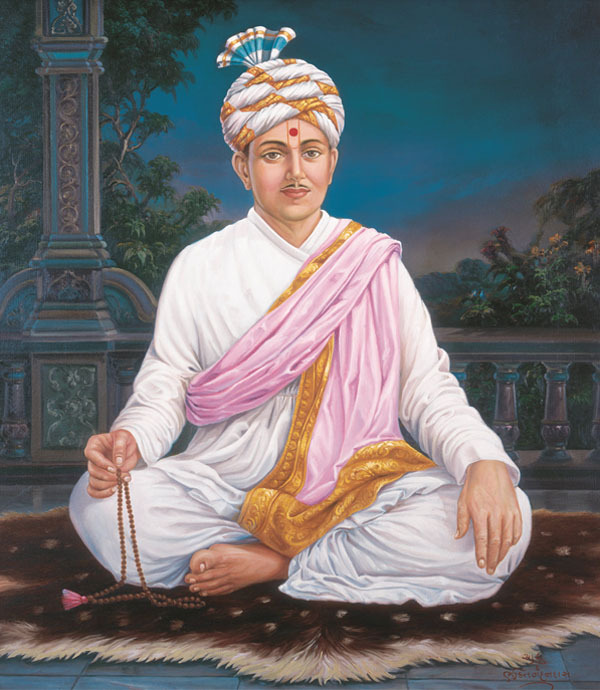 Shastriji Maharaj, Bhagwan Swaminarayan’s third successor, exhibited extraordinary intellectual and divine powers from early childhood. There was no field he could not master, ranging from Sanskrit and scriptures to mandir architecture. Behind his warm smile lay a spirit that never compromised on truth. Ordained as Sadhu Yagnapurushdas, he was matchless in spiritual disciplines. 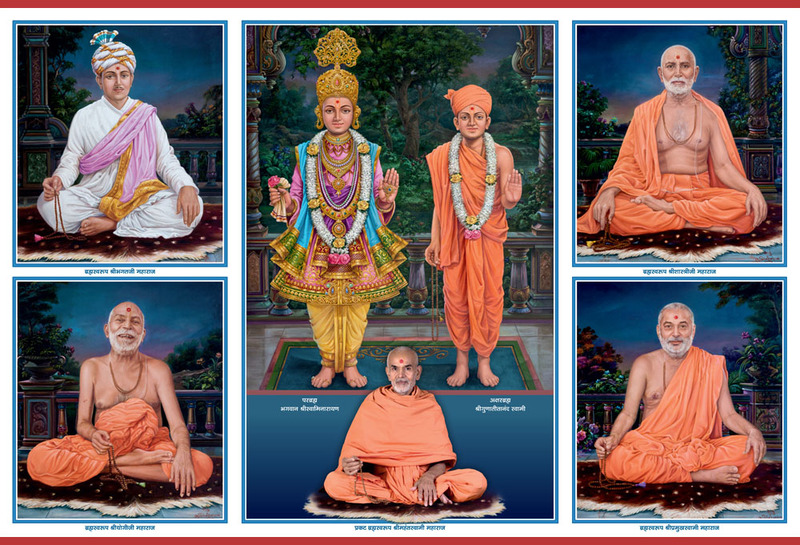 In 1907 CE, he established the Bochasanwasi Shri Akshar Purushottam Swaminarayan Sanstha (BAPS) to propagate the doctrine of Akshar-Purushottam as revealed by Bhagwan Swaminarayan, and built five beautiful mandirs with the sacred images of Akshar-Purushottam installed in the central shrines. 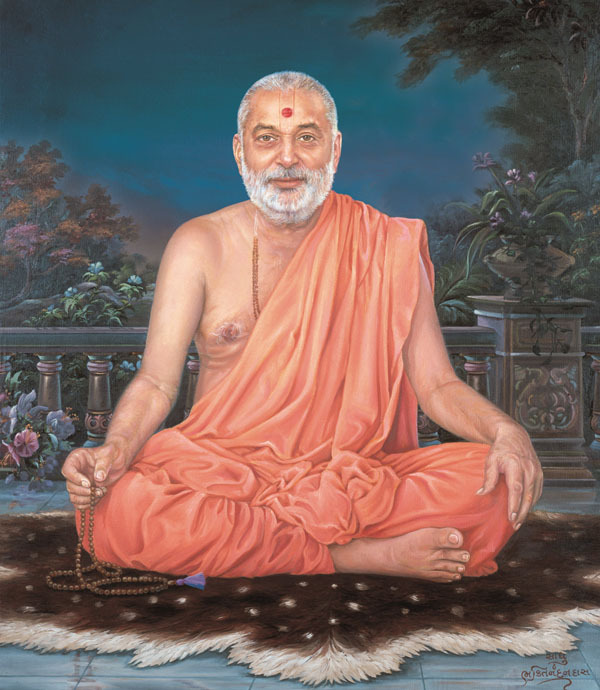 Pramukh Swami Maharaj was the fifth spiritual successor of Bhagwan Swaminarayan. His message, “In the joy of others, lies our own” inspired over a million followers around the globe to offer dedicated service to God, guru and society. Pramukh Swami Maharaj reached out to all sections of society, visiting more than 250,000 homes in 17,000 villages and cities, and personally counselling and comforting more than 810,000 people. His natural humility, compassion for humanity, universal wisdom and striking simplicity touched many religious and national leaders. But most important of all was his quiet, undisturbed love for God. Born: 7 December 1921, Wednesday (Magshar sud 8, VS 1978), Chansad, Gujarat, India. 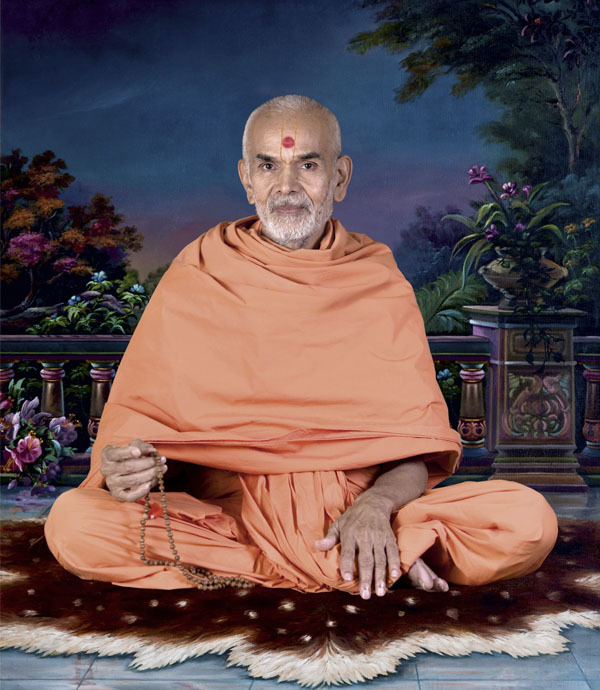 Mahant Swami Maharaj is the sixth spiritual successor of Bhagwan Swaminarayan and present guru of the BAPS Swaminarayan Sanstha. For over six decades he served under the guidance of gurus Yogiji Maharaj and Pramukh Swami Maharaj, tirelessly visiting villages, towns and cities throughout India and abroad. His dedication to duty and meticulous attention to detail have motivated many. Through his serene and simple spirituality and profoundly insighful discourses he has inspired and strengthened satsang in the lives of countless people of all ages and from all sections of society.